Pond’s one of the most trusted skincare brand that has been in market for more 160 years. Thanks Pond’s and Huntington Comms for the invitation I get to attend the Exclusive Beauty Workshop with Pond’s on 18 July afternoon. Workshop was held at SPH Auditorium. The workshop kicked off by the event host teaching us how to take a good selfie with some fun selfish activities with the audiences. Then we moved on to presentation by Consultant Dermatologist Dr Wong Soon Tee on skin care, anti-aging and aesthetics topics. Followed by Ms Foo Fang Wen sharing on latest Pond’s Age Miracle Range. After the tea-break, we have the image specialist to gave us a talk about imaging and tips on how to dress well and professional! Lastly, the highlights of the event! 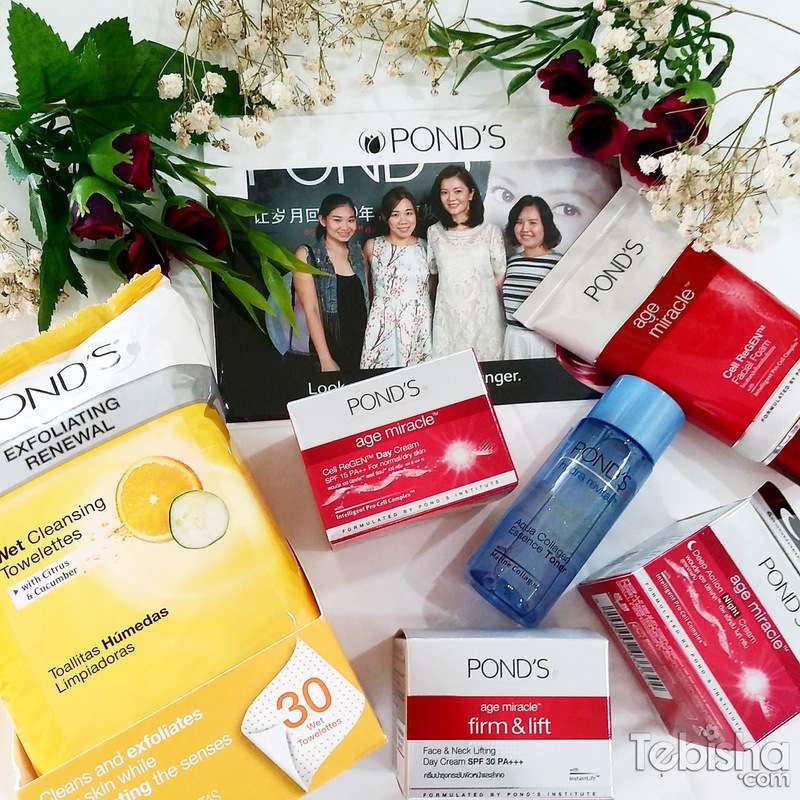 Pond’s new ambassador Michelle Chong appearance and interview on how Pond’s works well on her skin. The brand believes that aging should not be a factor that prevents women from embracing new challenges and living life to the fullest. Complementing the campaign is the complete skincare regime from the Pond’s Age Miracle range aimed at combating expression lines – the first signs of aging. 1. Cell ReGen Facial Foam – $9.90 for 100ml. 2. Cell ReGen Milky Toner, – $19.90 for 150ml. 5. Deep Action Night Cream – $29.90 for 50g. supermarkets (Cold Storage, Mediya), Giant Hypermart and Guardian pharmacies.